Ellu mittai,kadalai mittai are the evergreen traditional sweets available all the time every where even in a petty shop.I love to have kadala urundai as my in-between munch. Next to this I always enjoy the nutty tasting karuppu(black)ellu mittai. This is an excellent healthy snack for children and should encourage our children to have such snacks. It is filled with fibre,protein and irony richness. This ellu mittai recipe is a festive sweet that can be done even at home. 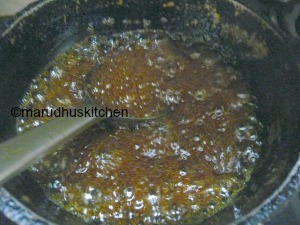 Only the consistency of the jaggery syrup is little tricky,otherwise its a super simple sweet to do. The hard crack stage is the one to be noted and if we miss this it will be a mess.I always add some roasted crushed peanuts along with this sesame to add crunchy taste.You can very will add only sesame seeds alone and do if you wish. 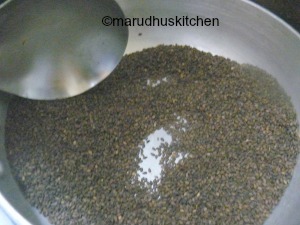 Roast sesame well to get a flavourful ellu mittai recipe. While selecting jaggery go for organic one or the dark coloured one.It gives not only colour but the taste also differs. 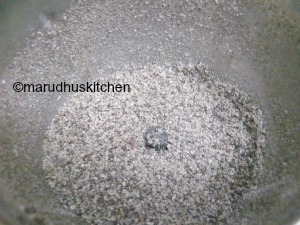 1.Keep a kadai with sesame seeds and dry roast nicely till the popping sound is heard. 2.Take out and let it cool and grind it in whisk mode once or twice so that its ground coarsely. 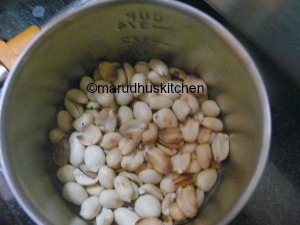 3.Then take a nicely roasted peanuts remove skin and grind in pulse mode once to get a broken pieces at the same time little coarse one. 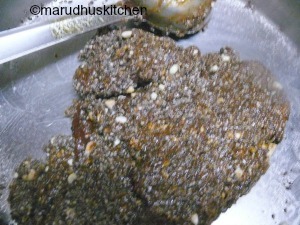 4.Mix ground sesame and ground peanuts together and keep ready. 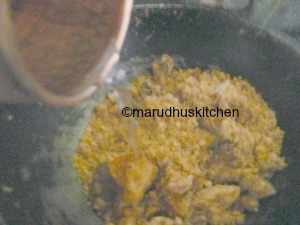 5.In another thick kadai add jaggery with some 1/4 cup water and let it boil. 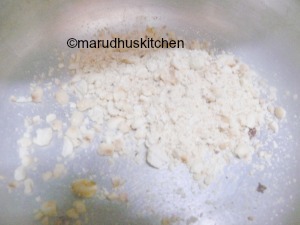 6.When jaggery is fully dissolved filter these to remove impurities,then again bring it to boil. 7.Now keep on checking the consistency till hard ball stage(hard crack) is reached. 8.Test it by dropping the syrup in water and when you make a ball and hit it down you will hear a dung sound and that’s the correct stage. 10.In-between grease a plate with ghee.Switch off the stove add the mixture of sesame and peanuts to the syrup and make it quick to transfer it to the greased plate. 11.Grease your hands with ghee well enough to combine the dough once or twice(it will be hot). 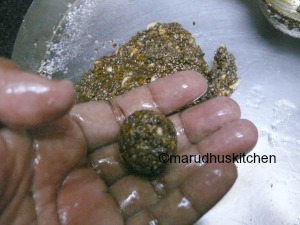 12.Now pinch off little at a time and make balls quickly by greasing the hands with ghee then and there. 13.Put it in an airtight jar once it cools off and enjoy. Keep a kadai with sesame seeds and dry roast nicely till the popping sound is heard. Take out and let it cool and grind it in whisk mode once or twice so that its ground coarsely. Then take a nicely roasted peanuts remove skin and grind in pulse mode once to get a broken pieces at the same time little coarse one. Mix ground sesame and ground peanuts together and keep ready. 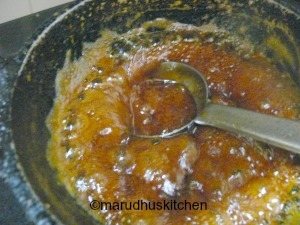 In another thick kadai add jaggery with some 1/4 cup water and let it boil. When jaggery is fully dissolved filter these to remove impurities,then again bring it to boil. Now keep on checking the consistency till hard ball stage(hard crack) is reached. Test it by dropping the syrup in water and when you make a ball and hit it down you will hear a dung sound and thats the correct stage. Inbetween grease a plate with ghee. Switch off the stove add the mixture of sesame and peanuts to the syrup and make it quick to transfer it to the greased plate. Grease your hands with ghee well enough to combine the dough once or twice(it will be hot). Now pinch off little at a time and make balls quickly by greasing the hands with ghee then and there. Put it in an airtight jar once it cools off and enjoy. Instead of black sesame you can use white once and do it. If you do without peanuts make measurement as 1 full cup. Jaggery stage is very important for the successful outcome of this ellu urundai. It will be very hot while rolling the balls and you should be quick about it otherwise the dough will set.